Just thought I'd try a really quick sketch of (young?) Ranma wearing Nanoha's original barrier jacket. I probably should've simplified the outfit, but it's my first time trying to draw anything Nanoha, and forcing as many of the details of the original outfit as possible didn't entirely help. Oh, well. If anyone wants to use it as some sort of inspiration, feel free to do so. I think you did real good on the clothing details. Your crisp like-work also helps keep them from being overwhelming. Is this a redo of a previously used pose? It looks very familiar. Would be nice to see some different weight lines for the art to make it more dynamic. Dumbledork wrote: I like it. Nicely done. I wanted to try to work at least one of Nanoha's 'bunny ear' hair ties into the art (mostly at the end of Ranma's pigtail), but I didn't like any of the resulting attempts. LawOhki wrote: Is this a redo of a previously used pose? It looks very familiar. I'm down to my 0.3 ink pen, unfortunately. (Well, that and a regular Sharpie. :D) I've got to restock, but I haven't worked on as much art, lately, so I keep procrastinating. Is that dress or a jacket? Nice pic, but a little confused on what she is wearing? ckosacranoid wrote: Is that dress or a jacket? Nice pic, but a little confused on what she is wearing? 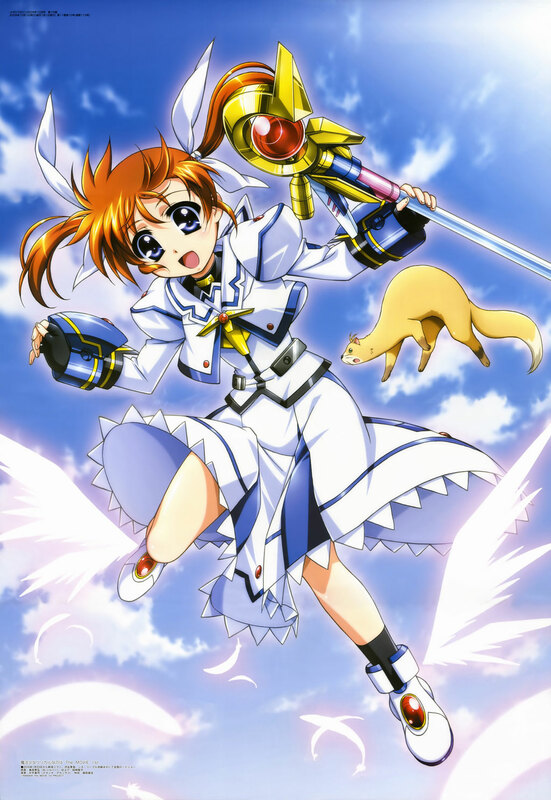 Have you seen Mahou Shoujo Lyrical Nanoha? If not, do so. It´s meant to be Nanoha´s "powerup uniform" or whatever you want to call it. Just think of it as her magical-girl uniform/heavy armor. The link to the pic helped. Thanks.